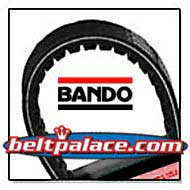 OEM Yamaha 5NW-E7641-00-00 V-BELT | BANDO VS BELT 762x21x30 | BANDO VS BELT 762.5 21.3 30 Japan | Yamaha VINO Scooter OEM 5NW-E7641-00-00 belt | 762.5 21.3 30 Japan. Home > CLEARANCE > BANDO VS BELT 762x21x30. OEM YAMAHA 5NW-E7641-00-00 belt. BANDO VS BELT 762x21x30 Scooter belt. OEM YAMAHA 5NWE76410000 belt. Made in Japan. BANDO VS BELT 762x21x30. 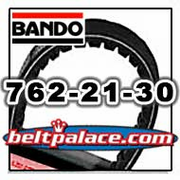 OEM YAMAHA 5NW-E7641-00-00 belt. BANDO VS BELT 762x21x30. Fits VINO (YJ) 125cc 4-stroke. 2004-2009 Model Years. YAMAHA OEM# 5NW-E7641-00-00 belt. BANDO VS BELT 762x21x30. Scooter/ATV/GO Kart belt. Belt marked "762.5 21.3 30 Japan". Fits VINO (YJ) 125cc 4-stroke. 2004-2009 Model Years. 2006 VINO 125 - YJ125V CLUTCH. 2007 VINO 125 - YJ125W CLUTCH. 2008 VINO 125 (Black Metallic X) - YJ125XB CLUTCH. 2008 VINO 125 (Deep Purple-Blue Metallic C) - YJ125XL CLUTCH. 2009 VINO 125 (DULL RED METALLIC D) - YJ125YR CLUTCH. 2009 VINO 125 (LIGHT GRAY METALLIC K) - YJ125YS CLUTCH.